HomeDon’t get ripped off on your Drone purchases! Purchasing a drone can be very confusing – especially for those new to the hobby. In this article we will illustrate some of the ripoffs and overcharging scenarios common to the world of drones. The Same Model Drone is often sold under various name brands – often at 2X or 3X the price! You may notice dozens of brand names…but only a few companies actually make drones. The others are often marketing companies who “private label” models from well known manufacturers such as Syma – and sell them at higher prices. As one example, two of the most popular toy drone models are the Syma X5C and the Syma 8C (Venture). The 8C is available at Amazon for about $75 (or less) and at Banggood for similar prices. 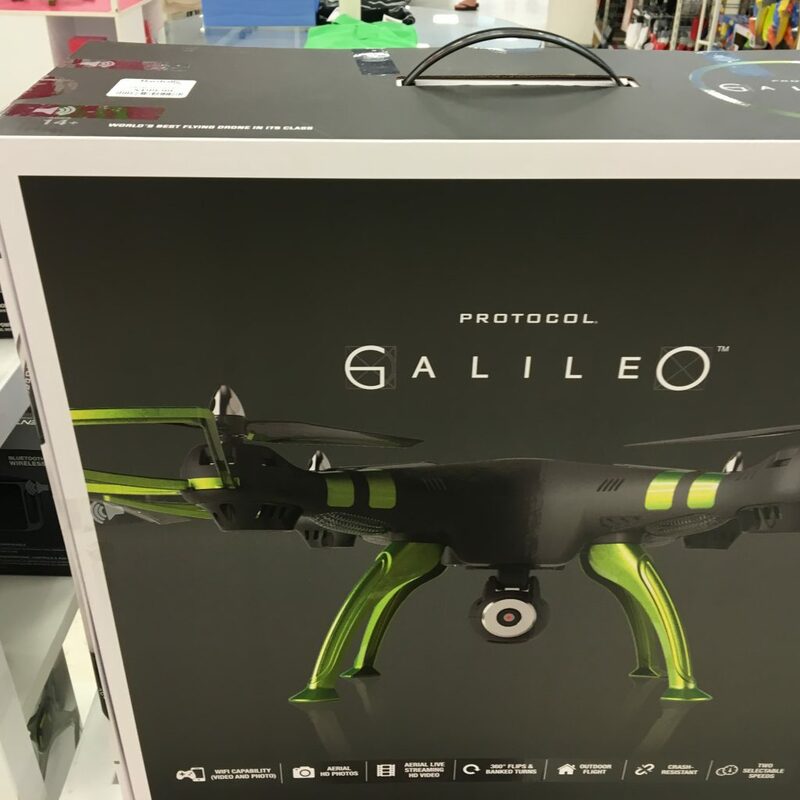 The same model is available at BestBuy with the brand name “Galileo Protocol” for $250. 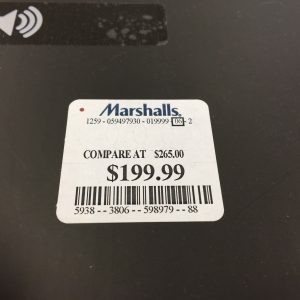 During a recent trip to the discount store Marshalls, I noticed one on the shelf at the “discount” price of only $200 – see enclosed pics. We could point out dozens of similar examples. Well – this is one of the major reasons for this site! We will NEVER link to companies and/or “deals” that are of this type. However, as a general guide please use these price categories to determine if you are being taken for a ride. Toy Quadcopters – these are generally “starter” machines like most of the Syma models as well as other brands like JJRC, Eachine and UDI. They contain brushed motors which are inferior to the brushless types…but cost much less also. These toy drones should sell for $8 to $90 – depending on size and features. These drones should sell for $100-$300 (higher end FPV can be more expensive, but those who need such machines usually know what they are buying). GPS Stabilized Camera Drones for Photo and Video – These are machines which can take smooth video and remain stable in the air due to GPS and other sensors. The DJI Phantom (3 and 4) are the biggest sellers in this category and provide a good value. These drones should sell from $400 – $1400, with the upper end being the top-of-the-line Phantom 4. Don’t buy your drone on an impulse at the local mall. Don’t buy it at an Agricultural Fair or other “here today, gone tomorrow” type of setup. Do buy a well known brand name such as Syma, DJI, Eachine, JJRC or Yuneec. Do buy a machine which has been on the market for at least 6 months. Do buy a machine from a reputable retailer. Of course, the easiest course of action would be to follow some of the links here at Dronesavings.com. Don’t get ripped off. Be an educated customer!